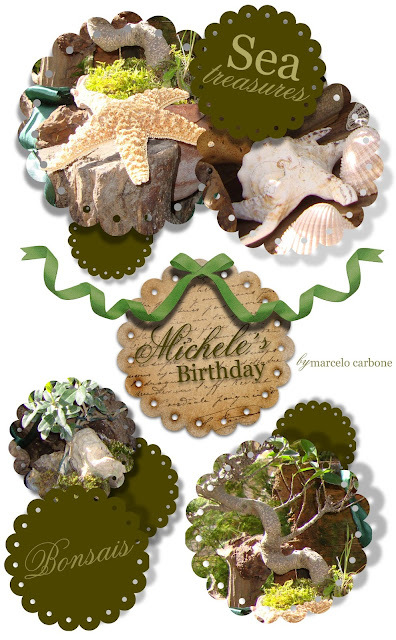 Today is Michele´s Birthday. 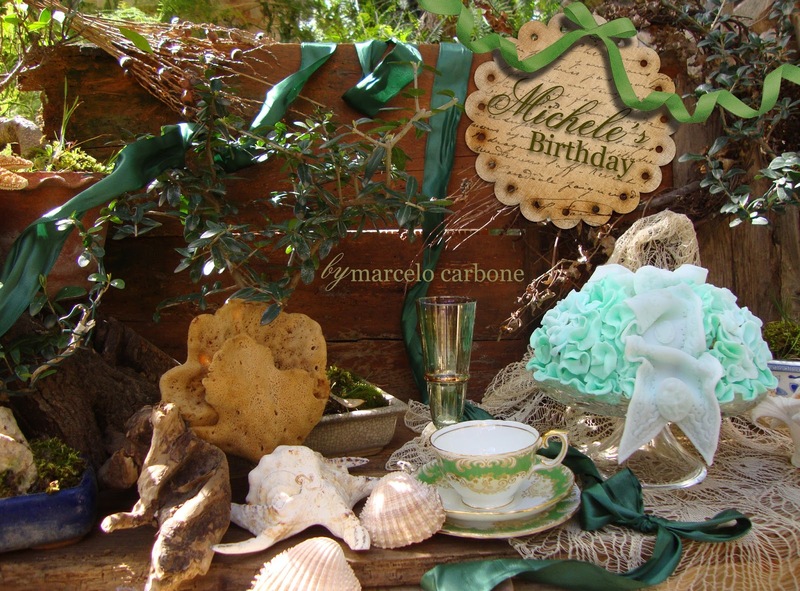 He loves sea shells, starfishes and bonsais - so I made a tablescape with his passions! 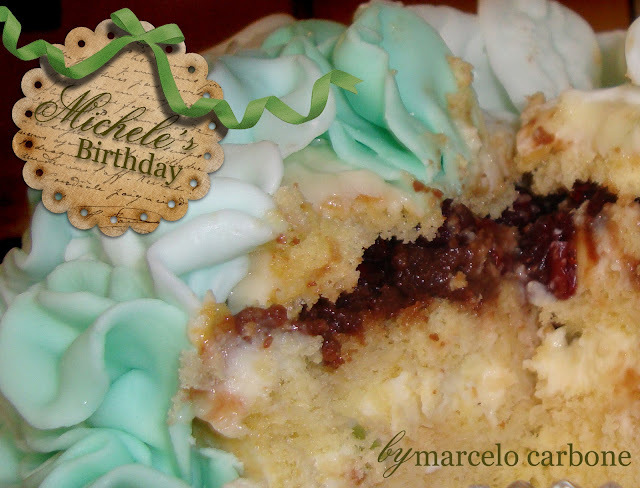 I made the cake... so yummy! Tones of greens and flower petals. 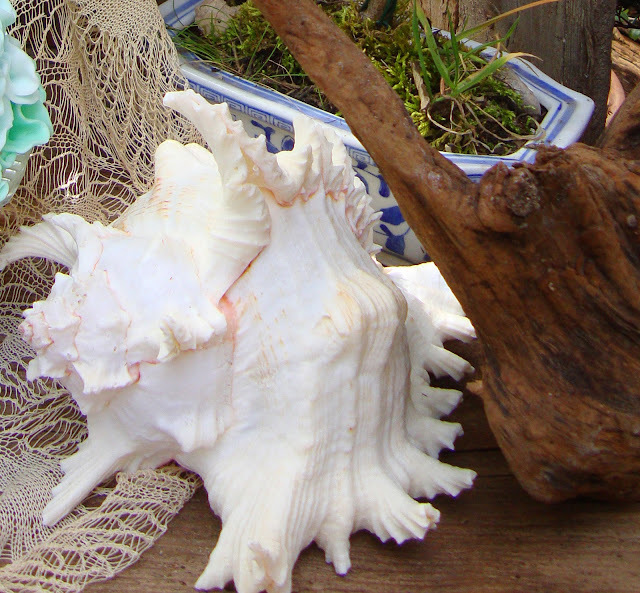 We have a big collection of sea treasures (I have to make a special post for it). 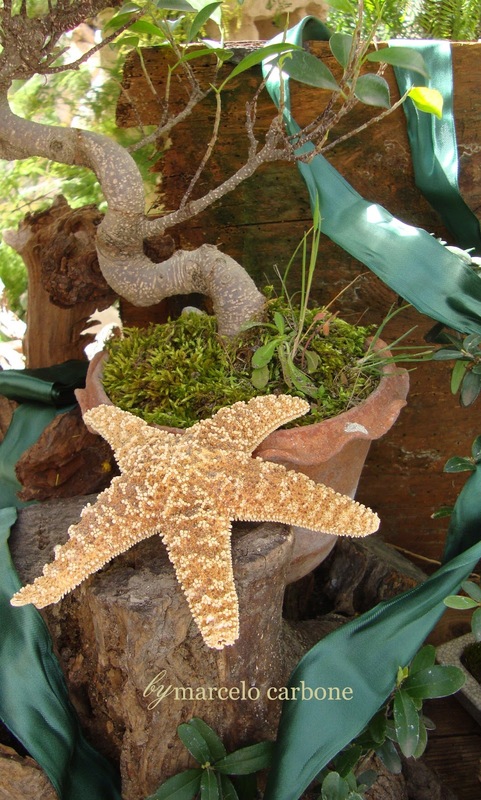 And I used some pieces for decorate. 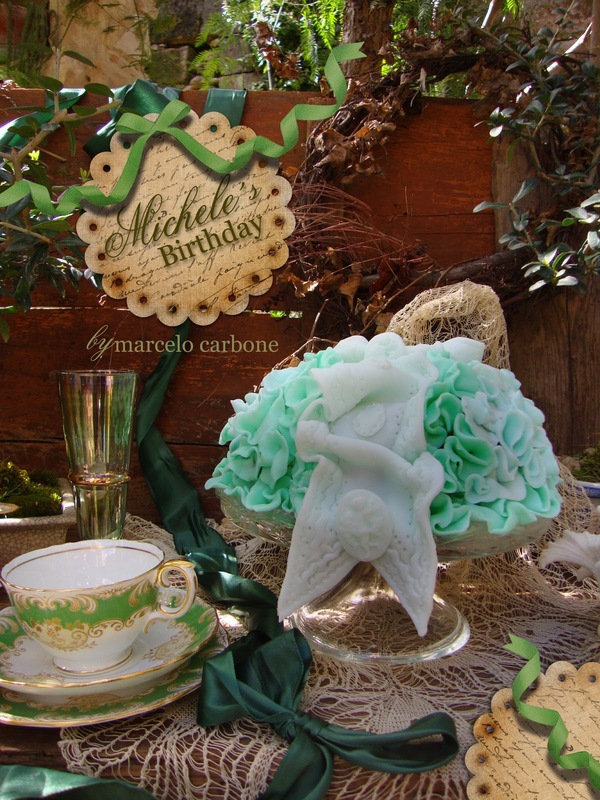 Michele loved the decoration, the cake and the homage. I hope you like it too! Thank you so much, Martha! Michele just loved the tablescape! 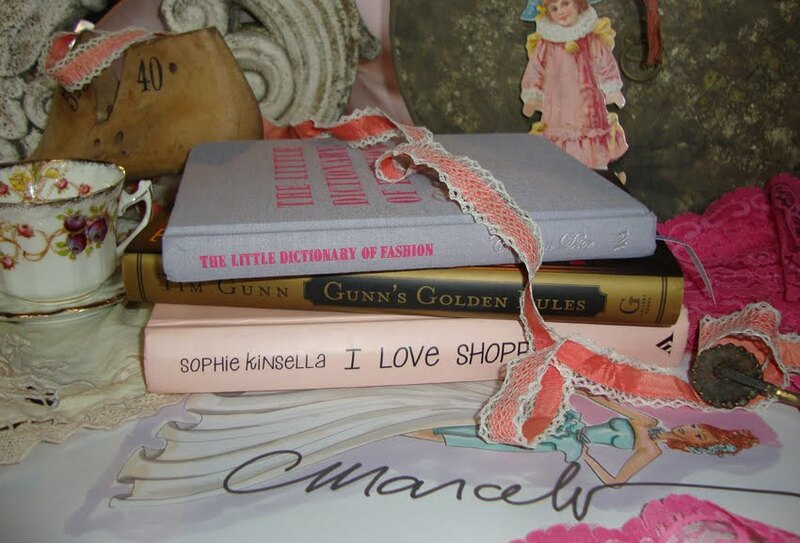 Yes, we love antiques! 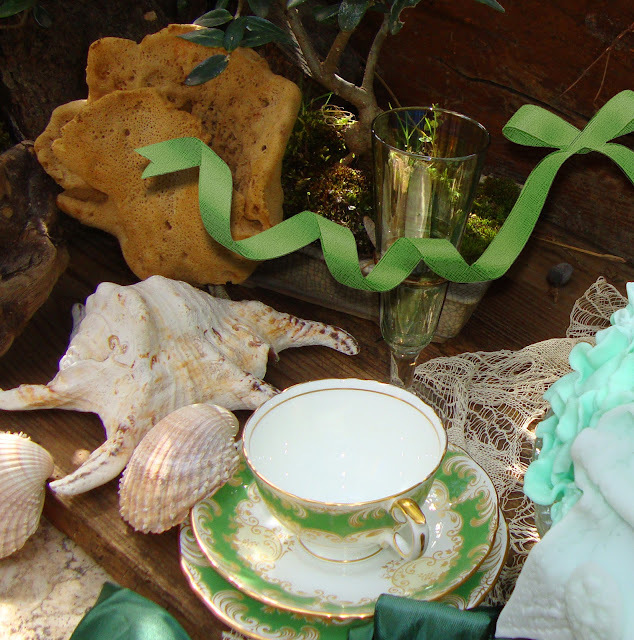 I collect a lot of things, from toys to teacups and fashion/decorations pieces and Michele loves religious antiques as well. Let´s share experiences and photos from our collection! 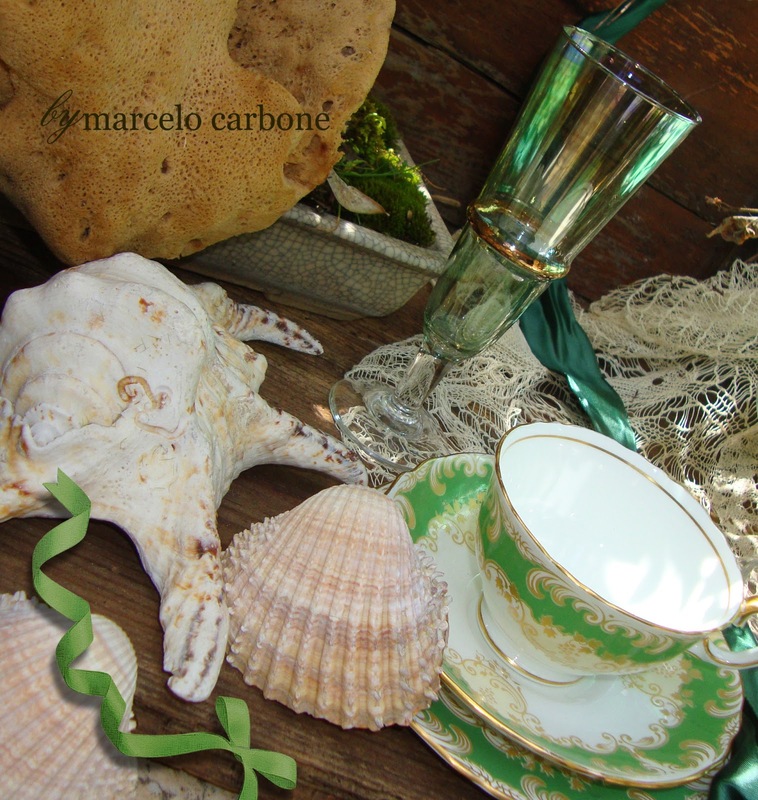 Lovely cockle and murex shells and I love the green teacup and saucer! 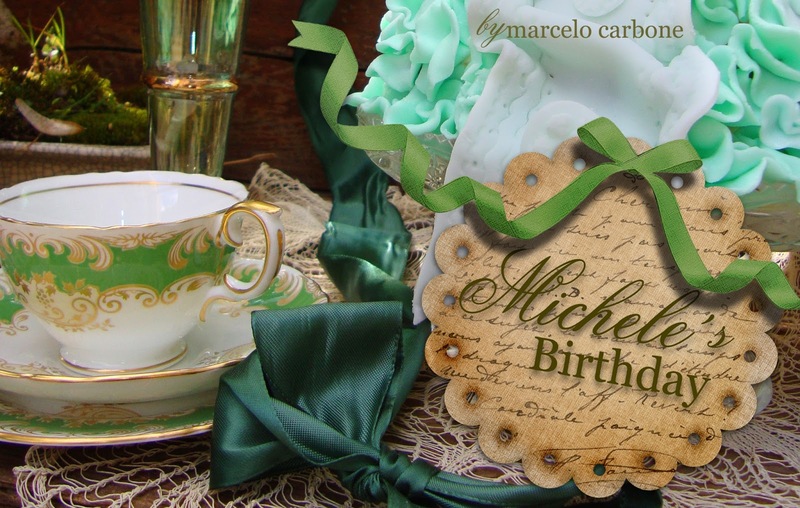 Fitting company for your gorgeous cake! That cake is Amazing!!! You have great talent to do that icing and to make such a lovely tablescape. What a special tribute to Michele. Happy Birthday from Florida. At first when I saw all the green, I thought it was for St. Patrick's day. Ha. How you arranged everything is so pleasing.